Christmas is coming and here are some tips. Espadrilles are available in new styles for the Cruise 2017 Collection. And we all know how fast these shoes go-out-of-stock, so perhaps you don’t want to wait. How about an early Christmas gift, because you deserve it. 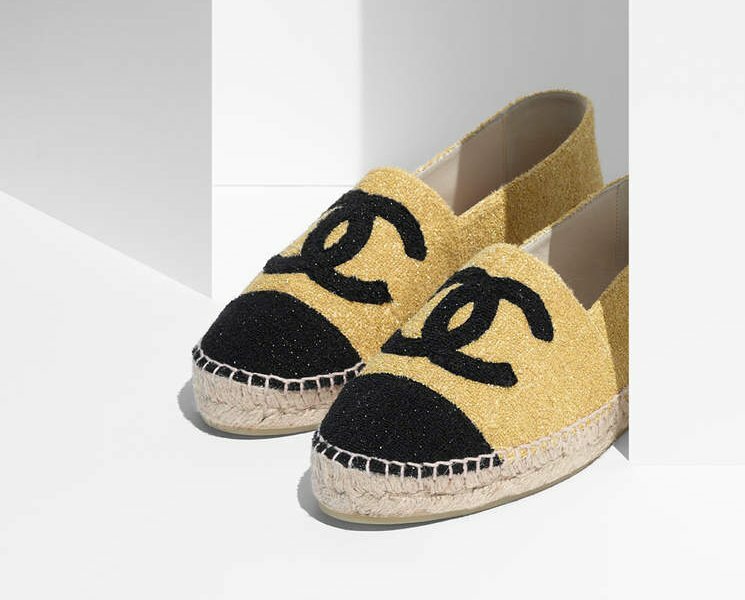 For the new season, Chanel made the Espadrilles in Fabric and in single color as well as bi-color. 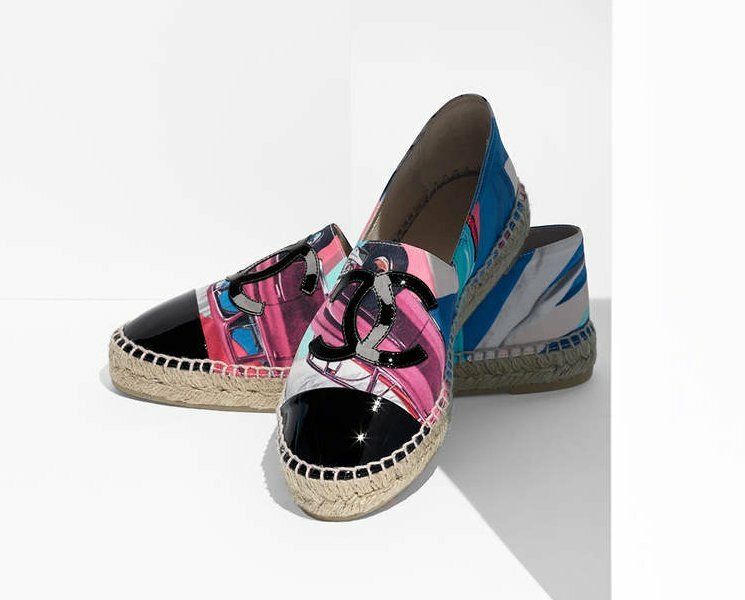 They have also introduced the Espadrilles in Graphic for the chic street style. Chanel has started releasing their Cruise 2017 Espadrilles. To keep up with the Cuban theme collection, Chanel has release a Cuba print style, made of fabric and patent leather. New patent colors are also part of the collection, as well as the iconic Camellia. 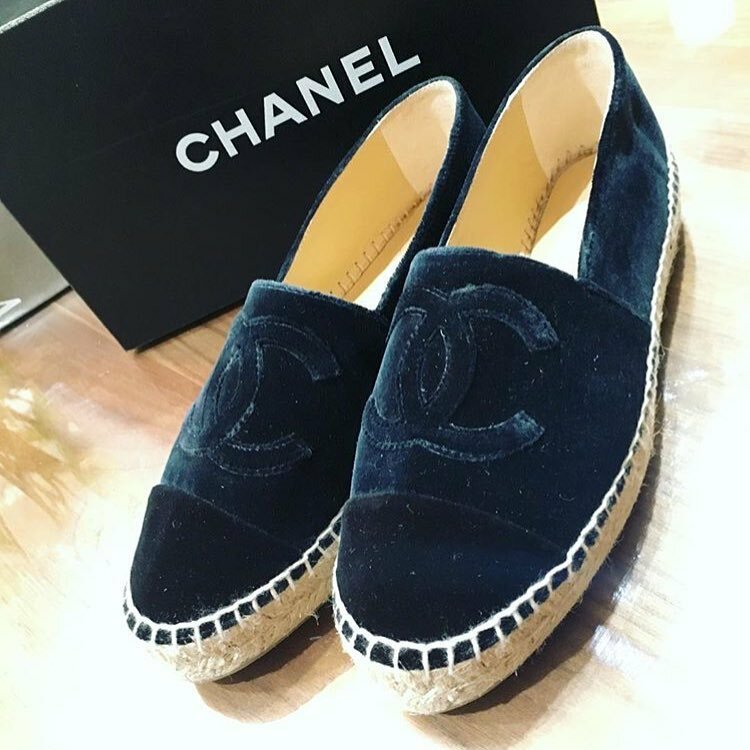 Nowadays espadrilles are the hottest shoes, and particularly Chanel Espadrilles. They sell like hotcakes and if you do get a chance to buy a pair, you can only hope they have your favorite color in stock. But anyways, in this posts we want to keep you up-to-date on what’s in store right now. 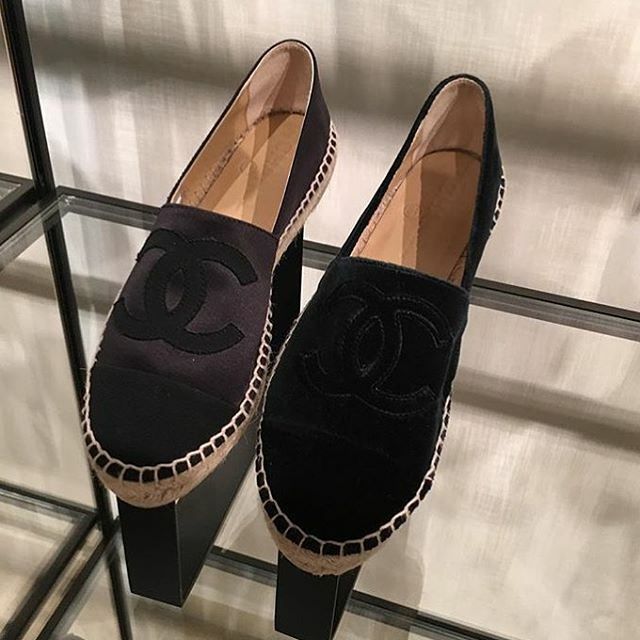 For the Fall Winter 2016 Collection, Chanel designed the Espadrilles with Tweed and Velvet. To give you an indication about the prices, these pair are retailing for $675 USD, €520 euro, £440 GBP, $840 SGD, $4400 HKD, $870 AUD, ¥66960 JPY, the style code is: G29762. Besides Tweed and Velvet, there are also other variations of Espadrilles available, like in full leather and in other colors like black. And because images speak more clearly than words, we’ve gathered them here below. Take a closer look and for more information, check with your SA. 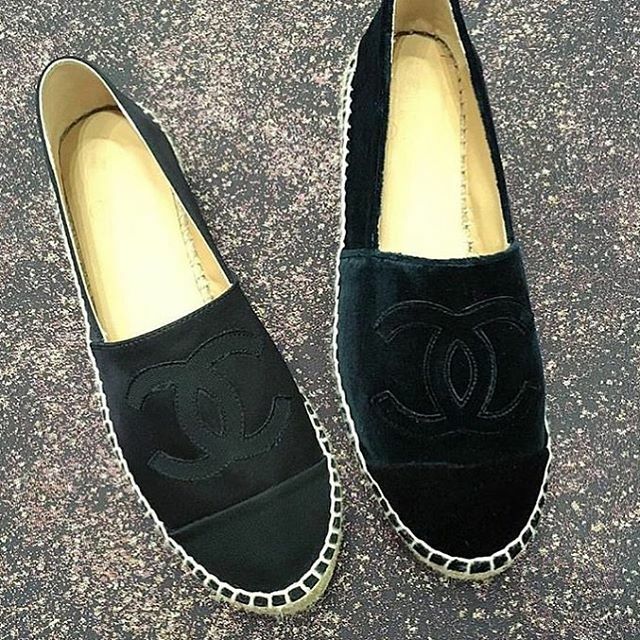 The very popular Chanel Espadrilles are back for the brand’s Spring/Summer 2016 Collection. The classic leather in Black and combination of Beige and Black are available once again. New styles this season includes like Tweed/Patent and Sequins/Patent. Another design is the multicolor espadrilles in blue, red and white, following the Airport Theme for Spring 2016. 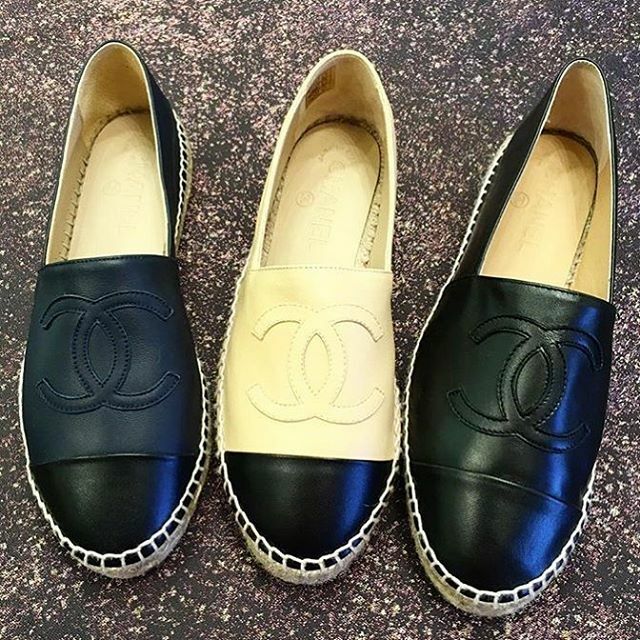 Chanel also releases loafer style espadrilles made of patent leather featuring cc hardware.